Al Jazeera America, which had hopes of challenging the other cable news networks with more in-depth programming, has taken a giant step backward with the announcement that it has canceled its morning programs and is dropping its 4 p.m. news hour. It will also be moving its 6 p.m. coverage to 7 p.m., according to The New York Post. In addition to dropping the programs, sources have told the Post that the network is likely to give less airtime to anchors Joie Chen and Ali Velshi with either shorter shows or fewer programs per week. The network, which was launched after the Qatari government bought Current TV from Al Gore for $500 million, and spent an additional $100 million on staff and facilities, has struggled in the ratings. It is averaging just 14,000 viewers in total daytime with 6,000 in the demo, and 18,000 total viewers in primetime with 6,000 in the demo in its first 14 months on the air—through October. That is less than half of what Current TV was averaging and well below what Al Jazeera America was hoping for. Ratings aren’t the only problem at Al Jazeera America—advertisers have shied away from the controversial network. 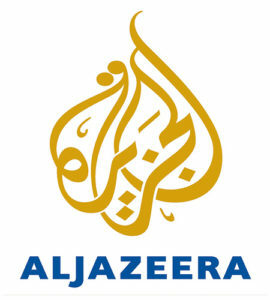 Even though the oil rich Qatari government can afford to subsidize losses, it appears that they have reached their limit and are no longer counting on Al Jazeera to be a commercial and financial success.